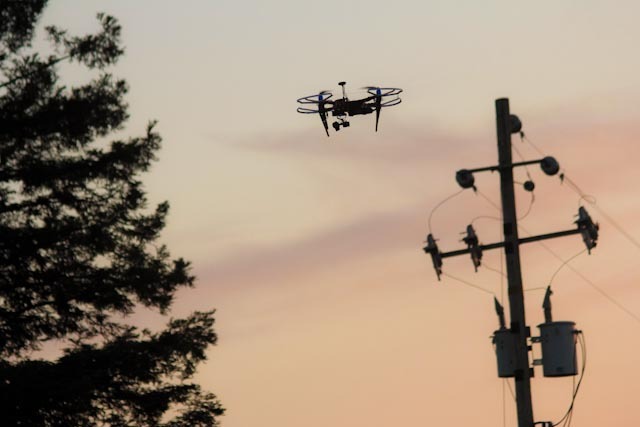 Businesses that are operating drones are well aware that the cornerstone of their operations is safety. It might even be said that if you don’t have a safe product (or service), you don’t have a business at all. One of the safety-relevant problems that drone operators are facing is the absence of a sense-and-avoid system that would allow drones to operate autonomously in complex environments. PreNav has taken up that challenge. Another San Francisco based startup, PreNav develops hardware and software that will enable precise navigation near ground, indoor, around structures and in GPS-denied environments, which would allow drones to safely operate at an increased level of autonomy, avoiding obstacles such as trees or street lighting poles. The technology is based on computer vision (Lidar + cameras) and uses deep neural networks for object recognition and unrivaled localization capabilities. Dronologista: How did you come up with this project? Nathan: The three of us — Nathan Schuett (CEO), Asa Hammond (CTO) and Haim Busek (“Mad Scientist”) — were sitting in a coffee shop in San Francisco and toying around with the idea of using drones to autonomously deliver cups of coffee from the counter to our table. There were a number of obstacles in the way, and of course GPS doesn’t work indoors, so we thought it was a really interesting engineering challenge. And the more we thought about it, the more we realized there are tons of applications for drones near ground, people, and buildings that aren’t currently possible… yet. Dronologista: It seems that sense-and-avoid will be all the rage for the commercial and truly autonomous UAV. Have you been asked to develop this system for any of the major UAV manufacturers? Nathan: We’ve been approached and are building relationships with most of the major manufacturers, but we don’t have any signed contracts at the moment. We’re focusing on building the capabilities of the technology for now. Dronologista: If not, will it be possible to retrofit existing designs with your system? Nathan: Yes, we are planning to integrate with a number of different flight controllers. Dronologista: Since you are US-based, have you experienced any legal trouble while test flying your drones? Nathan: We haven’t had any issues with the FAA, mainly because we are in active R&D mode and haven’t begun commercial testing or commercial flights yet. 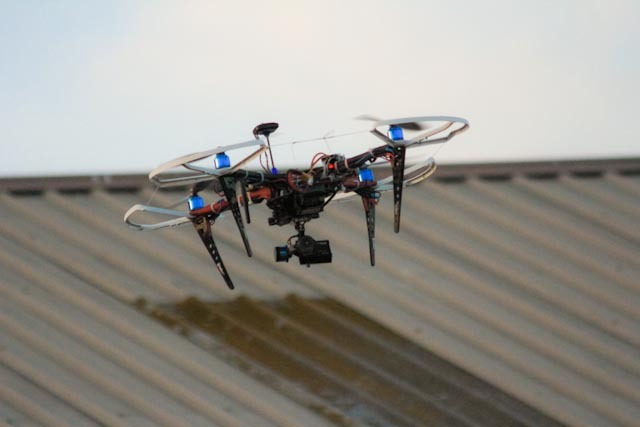 Dronologista: Who is funding and backing PreNav? Nathan: We’re currently raising a small pre-seed round, consisting of friends and family, angel investors/firms, and Drone.vc, which syndicated us through AngelList. The system that PreNav works on is a part of the solution for fully autonomous drone operation. Other solutions include fleet management systems, such as ones made by DroneDeploy or Garuda Robotics, and charging stations such as the one made by Skysense. When the technology matures enough that these systems become standard, truly autonomous drone operation could become a reality, and the coffee delivered by drone might just become a common sight. Until then, keep a close watch on startups such as PreNav, because companies like it are at the forefront of an emerging multi-billion dollar industry. Images courtesy of PreNav. Thank you Nathan!